A couple weeks ago, I found my new favorite breakfast spot. Mamaleh’s. 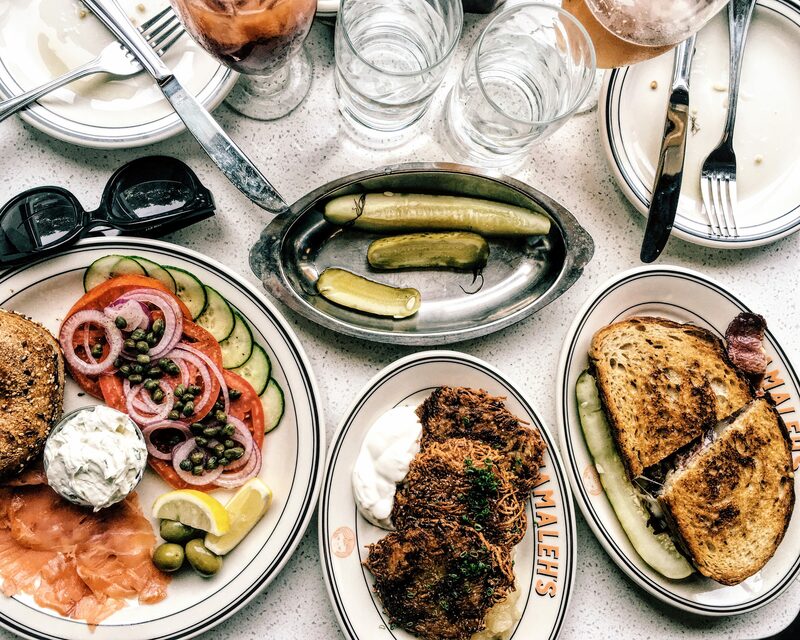 Mamaleh’s, which is a Yiddish term of endearment for a young child, is a Jewish delicatessen in Cambridge, MA. 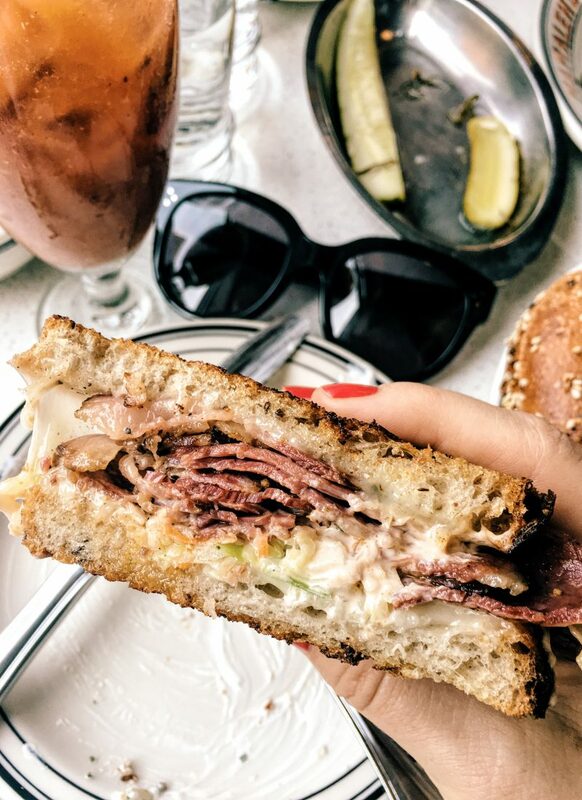 Opening this past summer, their menu ranges from matzah ball soup to smoked fish to smoked meats. 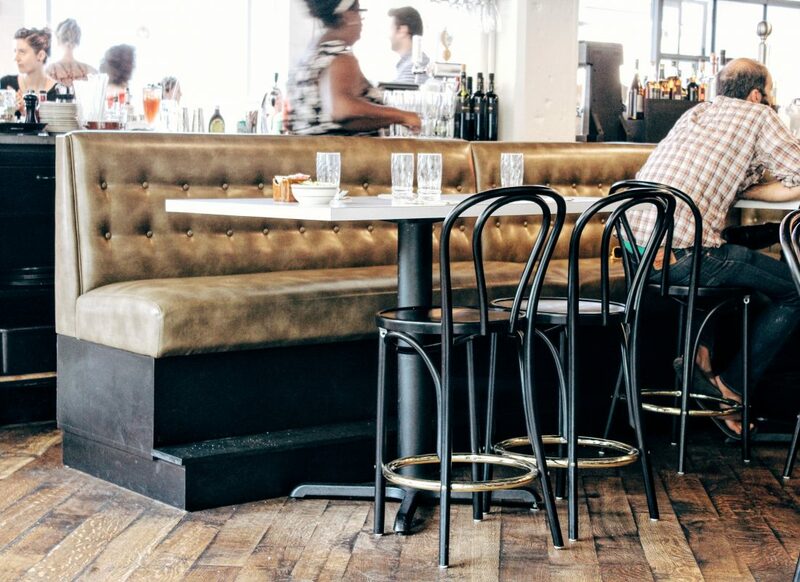 As a brunch lover, I knew that was the perfect meal to test drive this new food spot. I managed to get a 11am reservation on a Sunday using the Reserve app. (You can sign up using my code: EJQRJO.) We got there right on time, and it was packed. People were actually getting turned away. So heed my words, get a reservation. Walking into the restaurant was pretty awesome. And by pretty awesome, I mean, pretty and awesome. 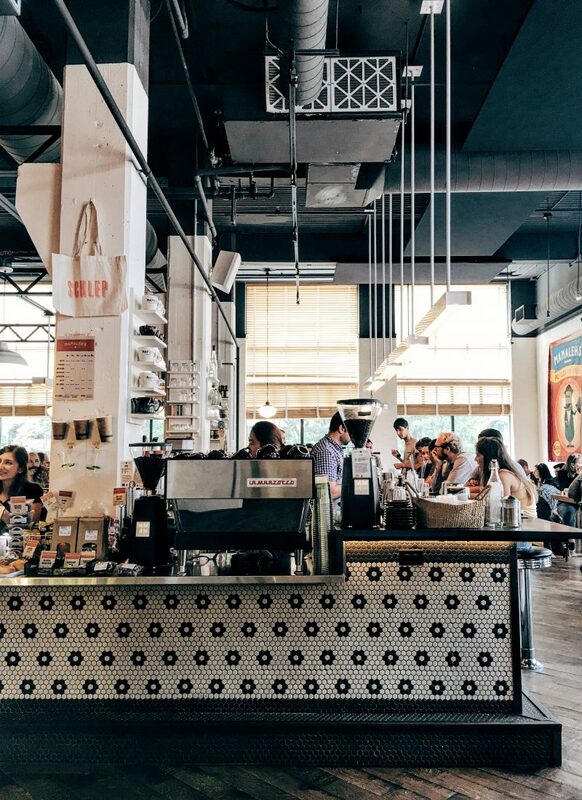 It’s a big space with high ceilings and the overall vibe was cool. We got a great seat near the windows and hunkered down. Our super hip and friendly waitress made some recs, and we ordered. Up first, pickles! 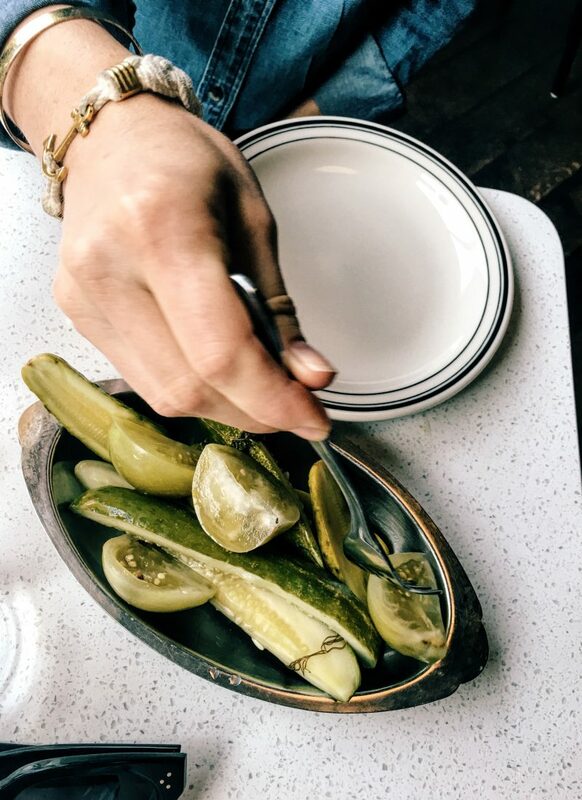 The pickle plate has a some sour and dill pickles as well as pickled green tomatoes. The tomatoes were an excellent addition. 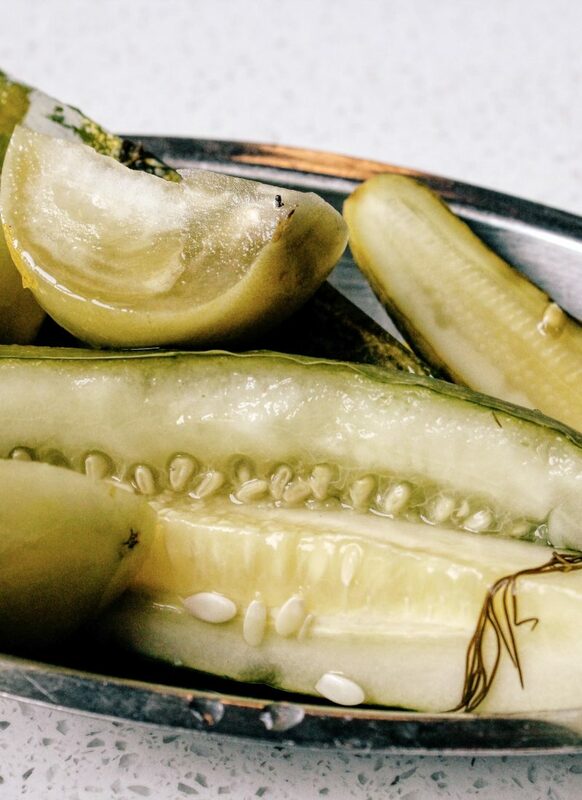 If you like pickles, or anything perfectly sour and vinegar-y, these are a must. We also ordered potato latkes. I remember my mom making these as a kid, and I literally tried to eat all of them. (Yeah, I’ve had a thing for food since… always.) 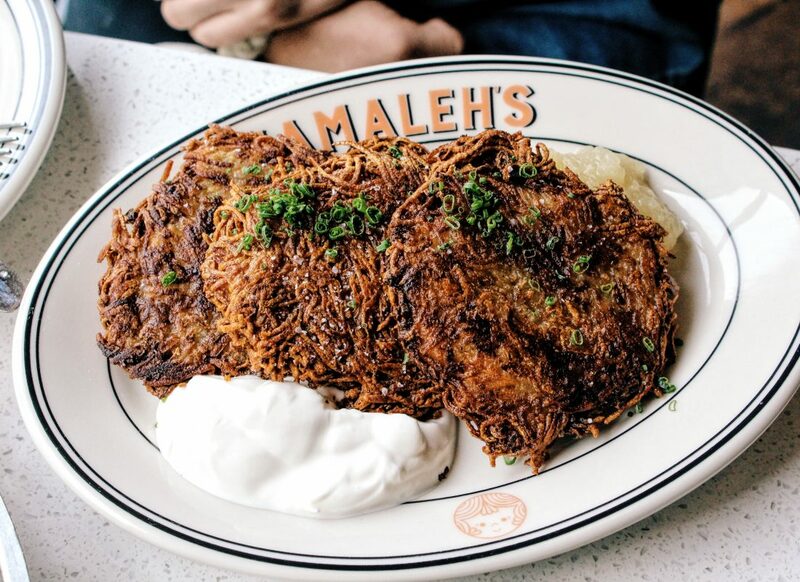 But the potato latkes at Mamaleh’s are AMAZING. Like, seriously, no offense Mom, these are WAY better than yours. I love you, though. This fried goodness is served with applesauce and sour cream. I say mix both sauces with each bite. You’re welcome. Lastly, we split the Nova Lox plate. I couldn’t come to a deli and not get smoked fish. That would be an amateur move. 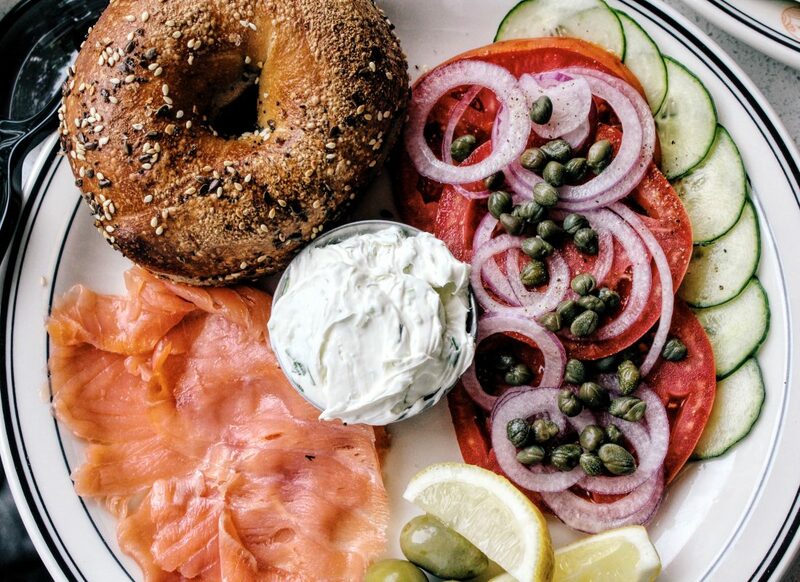 The plate comes with tomato, red onion, capers, olives, cucumbers, cream cheese (I went with scallion) and your choice of bagel. I chose an everything bagel, obviously, because I’m not a terrible person. 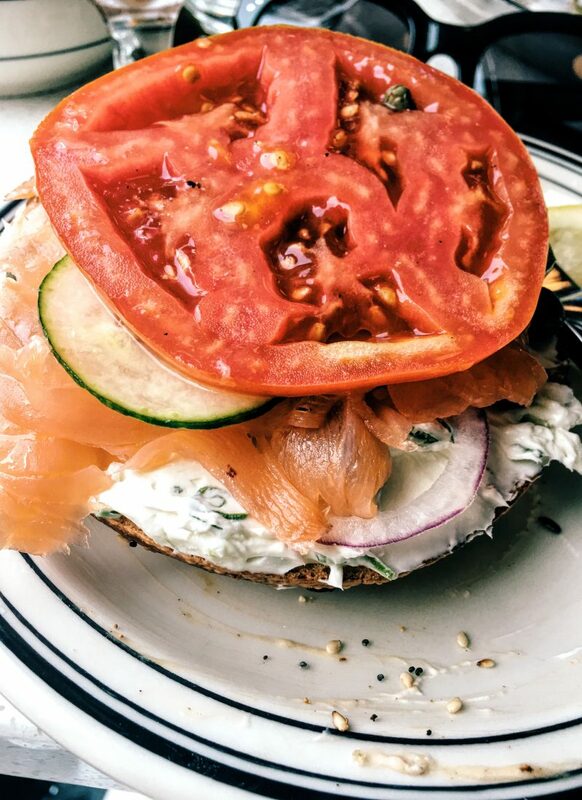 Smoked salmon on a bagel is one of my favorite breakfasts, and this was one of the best I’ve had. The bagel wasn’t too bready – the outside had a nice bite and the inside was chewy. The other accoutrement were super fresh. And there were plenty of capers to go around. 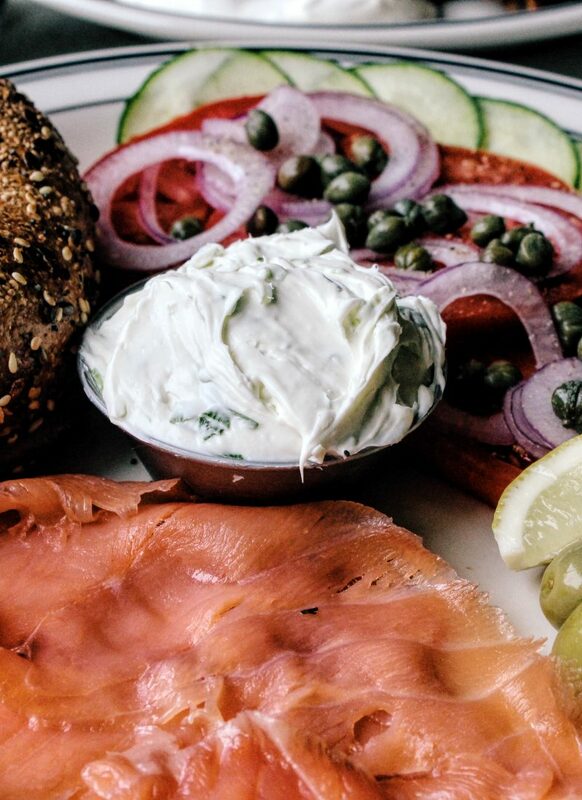 That’s usually my #1 concern when getting a bagel and lox at a restaurant. Nothing to worry about here. 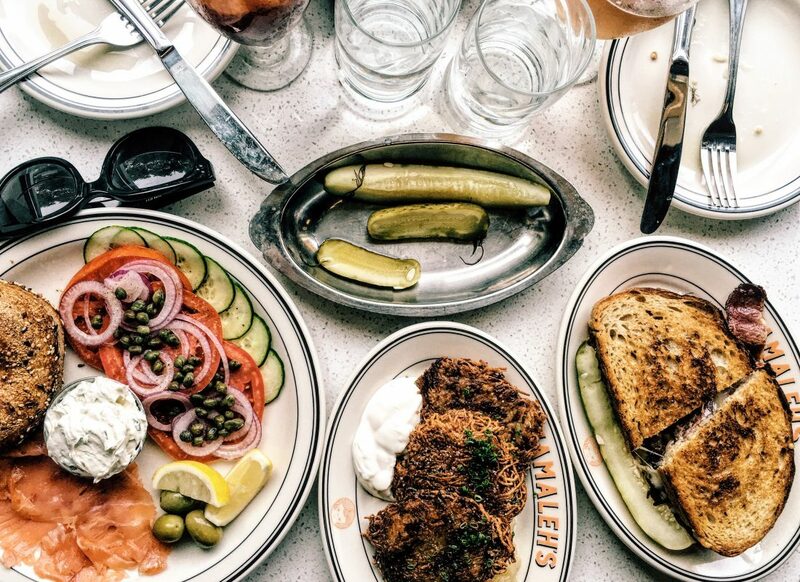 All the capers. That’s it for the food. We definitely didn’t have room for the egg creams or milkshakes. You can get the milkshakes with FoMu vegan ice cream so I’ll 1000% go back just to try that. OH… and Mamaleh’s has a cute little shop near the entrance/exit of the restaurant. 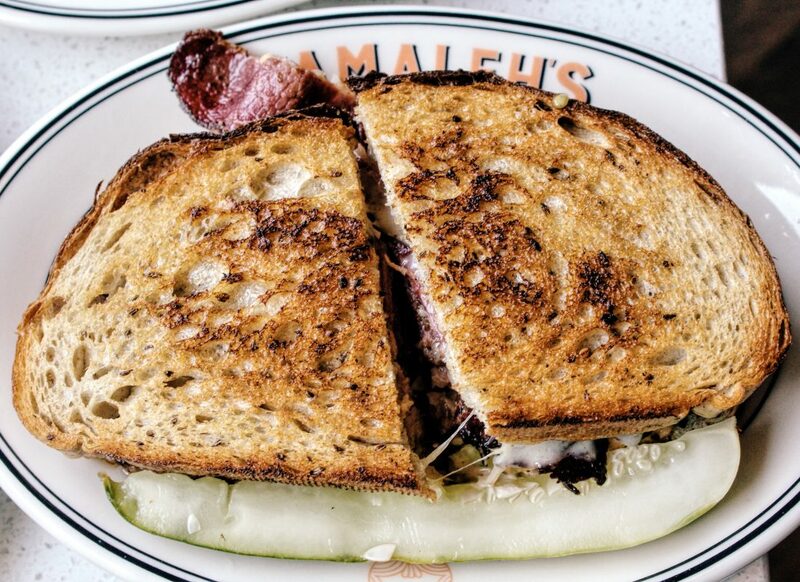 They sell classic deli items as well as prepared foods to take home and devour in your pjs. 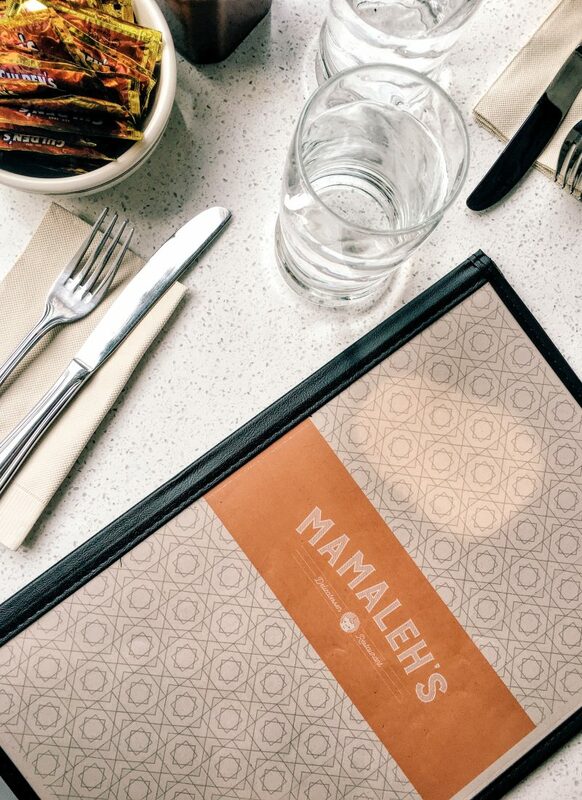 Welcome, Mamaleh’s! I’ll see you very soon! FYI I’ll be the one in stretchy pants near the window. Perfectly crispy and paired so well with the applesauce and sour cream. Oh so sour and incredibly crunchy. Corned beef or turkey. Choose your poison, and either way, you’ll leave happy. If you want to check out my other Boston adventures, head over to my Boston section.